While any wine can be made with organic grapes, a by-the-book “organic wine” must be made without the addition of the preservative sulfur dioxide. They have become a vanishingly small segment of wine production. Considering the embrace of organic farming in other wine regions – in organics-friendly Mendocino County, for instance, more than one-quarter of vineyards are farmed that way – such confusion might be open for debate. 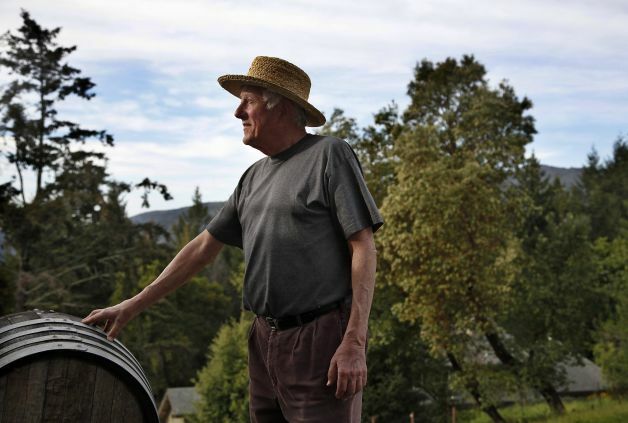 But vineyard land is scarce in the Santa Cruz Mountains and farming costs are high. Without a price premium for grapes, and given the extra costs for organic production and often lower yields, organic wine grapes are an expensive proposition. Organic farmers are allowed to use approved fungicide sprays, but the products are more expensive and don’t last as long as systemic products used by conventional growers, which are sucked into the plant and linger in its tissues. Brown, Alfaro and Jerold O’Brien of Silver Mountain Vineyards outside Los Gatos use all of their organically grown grapes in their own estate wines, though only O’Brien mentions “organically-grown grapes” on the label. None of them produce organic wine. Read the full story via Organic farming a Santa Cruz mainstay – SFGate.